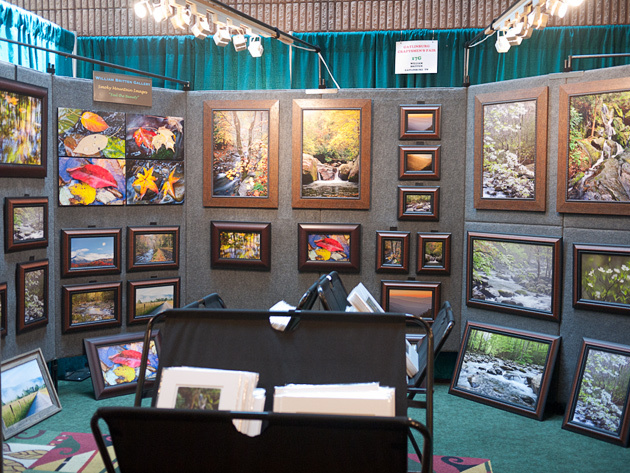 Artfair Time: Gatlinburg Craftsmen’s Fair! 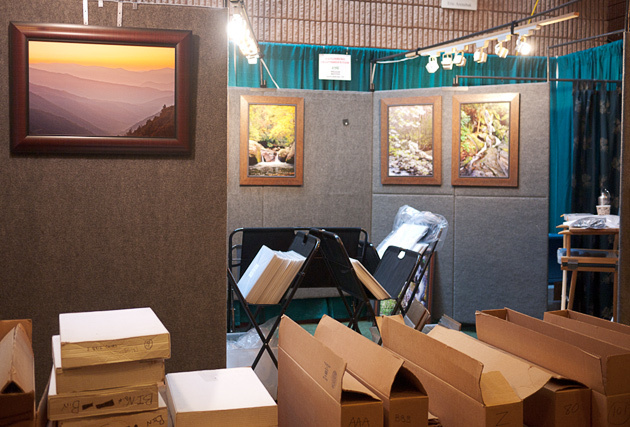 Set-up today for the July 2017 version of the Gatlinburg Craftsmen’s Fair at the Gatlinburg Convention Center. Running from July 14th through the 23rd, look for me at the bottom of the escalator just as you enter. We start setting up for the fair with a blank slate … just a bunch of boxes and empty display panels. By the end of the set-up we’re waiting for customers in a temporary art gallery. The William Britten Gallery will be open during the fair, so please stop in and see us at either or both locations. The Convention Center is located at stoplight number 8 on the parkway in Gatlinburg.